Located in the Tsala Apopka Chain of Lakes, the Flying Eagle Preserve is a mosaic of small lakes, marshes and swamps with scattered islands of forested uplands. Visitors have 16 miles of marked, multi-use trails and roads to wander (13 miles can be biked). The trail begins in improved pasture (listen for Eastern Meadowlarks, Eastern Bluebirds, Loggerhead Shrikes and American Kestrels) and crosses Moccasin Slough, bound for the marshes to the south, where numerous herons, egrets and other waterbirds can be found. Everything from ducks to woodpeckers to raptors is possible at this preserve. A sampling of birds recorded here includes Anhinga, Purple Martin, Wood Duck, Northern Harrier, Sandhill Crane, Eastern Screech-Owl, Brown Thrasher, Prairie Warbler and Le Conte’s Sparrow. Pack water, insect repellent and plan to hike. 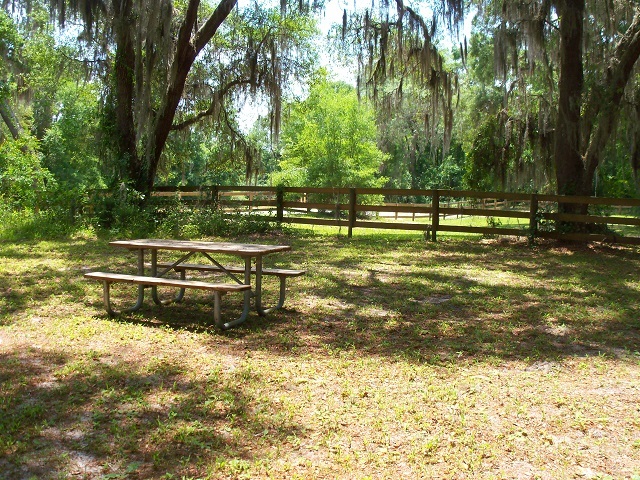 This site offers a variety of camping options: group, primitive, backcountry and equestrian. Seasonal hunting takes place at this site, please click here for more details.